This is a guest post by Caroline. We all love price matching, but it can be a hassle sometimes – all those flyers, all those coupons, and all those lists! 1. Use the MapleMoney Coupon Match-up Feature. Select the items you want to buy and print off your shopping list, including any coupons you need to use, etc. 2. 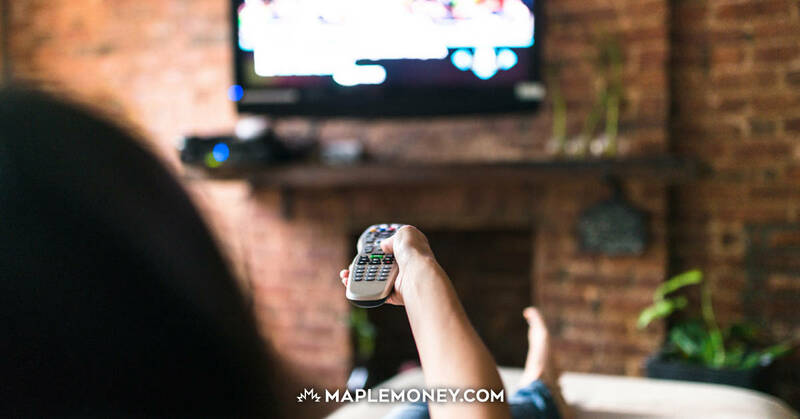 Take inventory of your fridge, cupboards, freezer, laundry room, and bathroom, and in addition to the MapleMoney list, make your, just to ensure you don’t miss other needed items. 3. Using a separate piece of paper (I use the back of junk mail), go through each flyer and circle the items you want, noting page number, item and price, and if you have a coupon (if you do, make note of how many you have). 4. Match up your coupons to the items on your list – checking dates, and any size restrictions on the coupon, prior to shopping. This is something you must always do before price matching. 5. Use a separate coupon organizer (many dollar stores carry these) with tabs for each store, and place the coupons for each flyer into the respective store slot. 6. During your shopping trip, organize one bag per flyer in your cart (I re-use plastic grocery bags for this part as they take up less room) – with the flyer in the bag (I often have 3 or 4 flyers to price match). If you are purchasing many items, you may need to use a few bags per store. 7. As you shop, organize the items into the bags for each flyer. Keeping the items in separate bags makes the checkout process go smoothly. 8. When you get to the checkout, tell the cashier that you are price matching, and do the price matching first or last, but not sporadically: put the items from the bags, plus the flyer, on the belt, in separate piles. 9. As the cashier scans your items, it goes quickest if you use your list, and reference the page and price of each item. The cashier will find them quickly as you have circled them. 10. Use your coupons on the items as each is scanned – use your list, and your “organized by store” coupon organizer, to ensure you are not missing out on any coupons. The cashier can check the date, quantity, etc. as the items go through. I came up with this price matching method to organize myself when I go grocery shopping, and have had many cashiers tell me that they like it because the price matching goes so smoothly. They often tell me that they wished everybody would do it this way. because it’s so much easier. Give it a try and see if you can shave time off your weekly or bi-weekly shopping trip! Do you have any tips for maximizing your price matching? Caroline is an avid couponer and is always looking for ways to streamline her weekly shopping trips, which include couponing and price-matching. I also write two lists…one has the items listed under the stores I am price matching (often colour coded…No Frills is black,Walmart is blue, Metro is red etc) and one grocery list that has all the same items, but is written in order of the store. I use the second one to shop, and the first list for check out. I’m loving these tips ….. thanks to everybody who’s writing in to share!! I’m definitely going to adopt some of your habits!! A note on separating into bags while you shop…. Stores dislike when you use your bags while shopping. They want you to use their buggies or carts! This is a THEFT ISSUE! No matter who you are, what you look like, anything of the sort! If they see you walking out the door with bags, they are going to think you paid for those items. PLEASE don’t use the bag system, it will save the employees, and you, the hassle of approaching or getting a manager to “stalk” you until you pay for everything. I price-match at Freshco and they have 2-level carts. All of my price-matched items go up on top (each corner is a different store and I place the flyer under at least one item in that corner to hold it down) and all of the Freshco stuff (sale or regular) goes on the bottom. I start with the price-match stuff so the hard stuff is out of the way, then the Frescho items with coupons and then the rest (so I can relax at that point, not worrying about anything other than making sure the right price comes up). I love the idea of taping the coupons to the items–I’m going to start doing that! I do a list for everything that I plan on purhasing on that shopping trip. I put a PM beaide the item and how many on the list. Then i have sticky notes I put on my binder pencil cases with each stores flyer and coupons in them. On the sticky note I write what items are being price matched and which ones also have coupons. I find check out to be the fastest part of my trip. When I gwt the the register I look for a younger cashier also, because they are more relaxed about the coupons. I shop with my iPad, I just love technology. It makes price matching so easy! So, what I do is I already made a list in Notes of prices and coupons that go with them by store. In my Photos, I have shots of all the dates and items I’m matching. And in my binder the very front would be all the coupons I needed to use right away. I’m very organized. I let all the regular priced things go first so my boyfriend can bag them. Then, by order of my stores I match coupons or photos of the flyers one by one to the cashier. I try to get the one photo to include the date with the item, but sometimes they don’t have it so I take another shot of the first page with the dates. It’s really easy to just swipe to the next page on a big iPad and show them. Old or young cashiers, they’re both pretty quick! Coming from a former Loss Prevention employee, Josie is right. It is not a good idea to bag your items in the cart to organize. It drives us crazy and a waste of time watching you when someone else is stealing. You know you are paying, but Loss Prevention doesn’t. And you never know when someone is watching you. I agree using bags might not be the best idea. But how about using bins like they have at Superstore? Store employees can clearly see what is in them. When I go through my weekly grocery flyers I write all the deals I will be price matching on the top of each flyer and star the items within the flyer. I then use these to compile a master grocery list. Once at the grocery store I use my master grocery list and keep my price matching items separate in the 2 tier grocery cart. Once I am at the check out I give the cashier all my coupons up front then I let them know I am price matching and I will leave those to the end. I can then take out my flyers and use the lists written on the top to separate the items from each flyer. I love price matching and am an employee for the real Canadian superstore, when I go through the flyers I make a list of everything on sale, I start with one flyer and make a note of the item name, size and price, this makes it easier to see if another store has the same item on sale and if it is cheaper(which happens, last week about five stores had snack packs on sale and they were all different prices) once I have a list (that also has a lot of things scratched off from finding better deals) I make my “master list”, the name of the store is blue and the information about the products is black, since I work at the store I also mark in blue beside each item where I can find it (ex. If bananas are being price matched I write “produce” in blue beside it) I makes my list seem more organized and I’m not running to the produce section two or three times because something was on my list and I missed it, I know everyone doesn’t know exactly where everything is in their store (neither do I haha) but if you write a general idea of where things are this will help make your shopping trip a lot easier! I also agree about the shopping bags, yes it is a very organized way but italy our job a little harder, we have to watch you a lot closer and takes a lot longer to ring you through, the bins are a great way if you want to be organized, I shop at the superstore and we have the double carts so all my price matches go in the top and regular items go in the bottom! Hope this helps…love all your tips!! I agree with the concern of using bags. What I do instead is divide my cart into “zones” with each zone representing a store flyer. I place each store’s flyer in their zone and then place the items I will be price matching on top of their respective flyers. when I get to the checkout, I unload the items one zone at a time and place the flyer on top for easy access. I love the idea of using bags in the cart !! Thanks Cassie. My husband gets annoyed when I have to sort through everything before getting into a cue. When shopping with 3 babies its hard to keep the items to be priced matched from diff. stores in separate parts of the cart add to that coupon items, I always price match at Walmart and I have no problem with them checking my receipt on the way out, as the do sometimes already. and as a bonus it might remind me to bring my reusable bags better for the environment. How do you get nice cashiers????? The last 3 times I have shopped I have had the rudest cashiers about my coupons! Twice at Safeway & once at Walmart…2 cashiers were young & 1 was over 60. I think I’m being a polite, organized customer. I usually ask them how they want the coupons, with the products or all once as each seems to have their own preference. I don’t think I deserve the rudeness & once a down-right dressing down for using coupons. This isn’t the first time either. I had problems last year with a particular cashier at Safeway a couple of times, but she has since left. Maybe its just a west coast hate for coupons???? I’m fairly new to this but I’ve gone to two Walmart’s now and I don’t even have to show flyers. As long as it looks like I’ve written down store, item and price, they don’t want the flyers. They told me it just slows them down. They also said that they can tell if customers are lying. I still bring them with me, but I’ve seen someone push everything through, and pricematch with no visible flyers anywhere. I thought that was pretty cool.